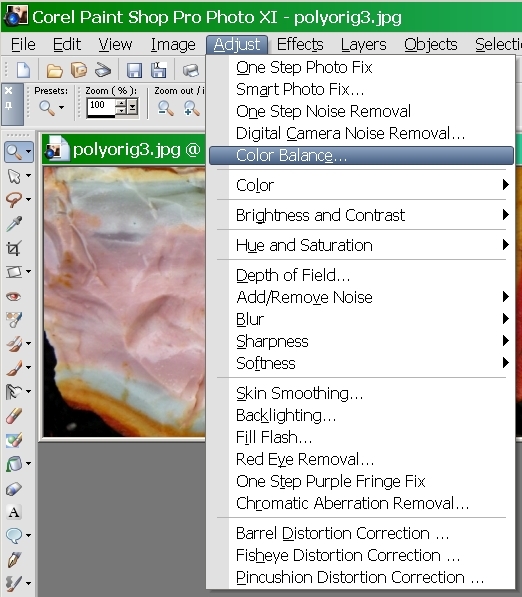 Use this tutorial to adjust the colors in auctions where you don't know how accurate the pictures are. This is a short tutorial on how to adjust an internet or auction seller's pictures to get accurate colors in rocks or gemstones. Generally if a seller has at least one photo with a plain white background this process is much easier. However if you know that one of their stones has a white area you can use this one photograph to obtain accurate pictures of all their photos. If a seller doesn't have any photos or backgrounds with white simply ask them to send you some photos of the material wet (if rough or slabs) with a plain white background. I also request outdoor or natural light if possible or the use of similar quality indoor lighting such as SoLux if possible. IThe seller's original photo. I wanted to see the REAL colors in this stone. Does the rock have a light blue zone? 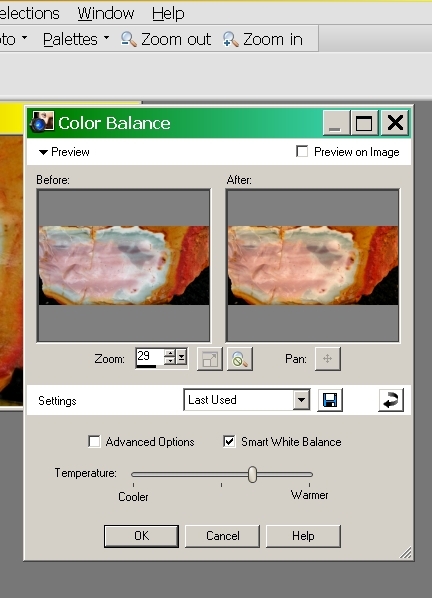 Photo adjustment to show real colors. The light blue is actually more like a gray color. The process to obtain this picture is explained in the tutorial below. A second rock from the same seller. We know that noreena jasper has WHITE and no light blue. This picture is used as a "constant" or "control" since we know that the light blue areas are actually white. 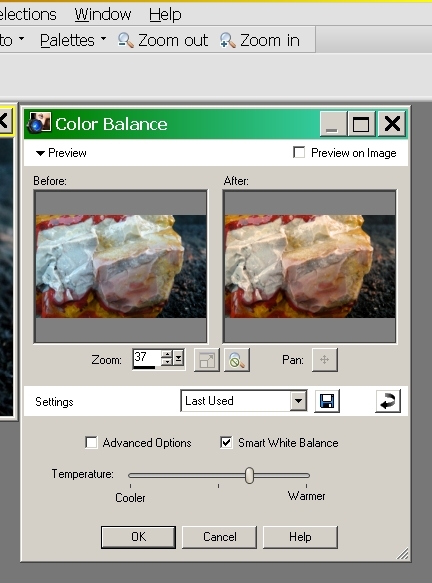 If you have a known white background then the background can be used as the constant. 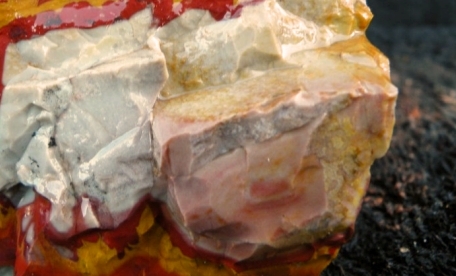 The fixed noreena jasper photo showing the corrected white areas. Once you adjust the white areas to look white then all the other colors in the photo are fixed as well. 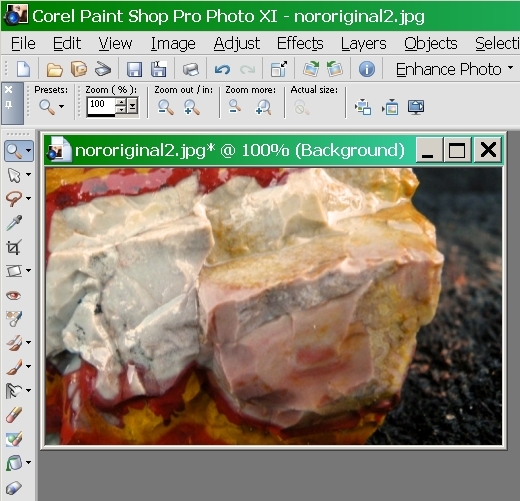 Step 1- I use Corel Paint Shop Pro Photo XI to make adjustments. The nice thing about this program is it can save your last adjustment settings so after the first adjustment you can add pictures quickly and fix them. 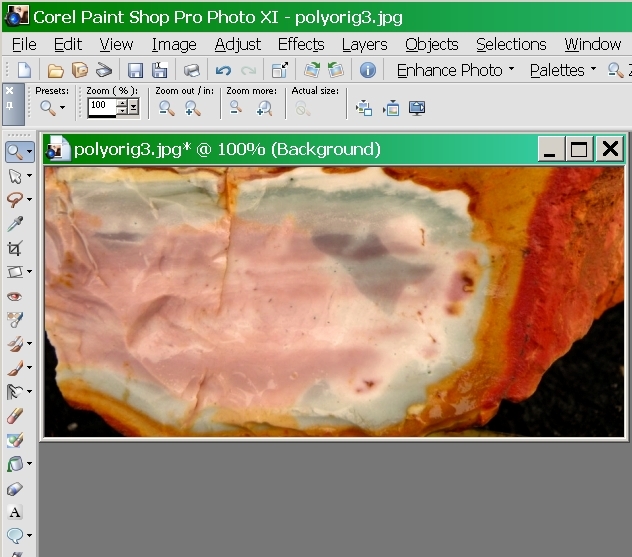 Open picture with known white area in the program and go to Adjust-Color Balance. Step 2- Use the slider to adjust the picture so that the light blue turns to white. Set Settings to "Last Used". Hit "OK". 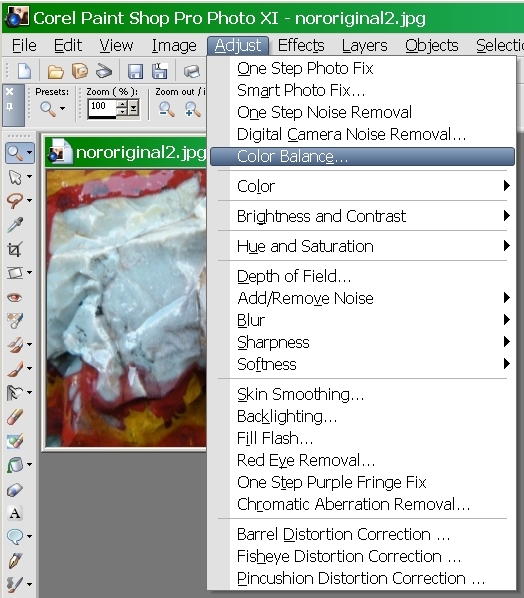 Step 3- After clicking OK in the last step you now have the corrected image displayed. Step 4- Now you open a different picture from the same seller. I picked this jasper because I don't know any of the colors in this stone. But since I know the color shift of the noreena I can use this knowledge to extrapolate the correct colors of this rock. Based on the last stone I'm guessing that the light blue color band in this rock really isn't this blue. Step 5- Same process as before but this time it's easier since the settings were saved from the first adjustment. To be sure, look and see that "Last Used" is selected under "Settings" when the next window opens. Step 6- Window opens and previous settings are automatically displayed. Simply hit "OK" and photo is color adjusted. Step 7- So here is the final picture showing accurate colors. Note that the areas that appeared to be light blue are actually more of a gray color.